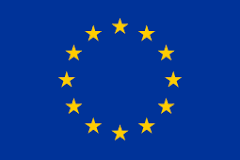 This week the European Parliament approved a controversial copyright law, the “Copyright Directive” (“Directive”), that may have serious implications for both providers and consumers of online content in Europe. While this may not be relevant to most of our readership, it may be an important testing ground for changes in US copyright law. For example, Europe has been on the forefront of online privacy protection with the passage of the GDPR, which some have suggested provides a model for US privacy legislation. Given the controversy over the new Copyright Directive, some of us may wish that it doesn’t see the light of day in the United States. Here’s what we mean. Under the EU system, a directive is not a law but a formal instruction to the member states to enact laws consistent with the directive. Thus the European Copyright Directive is a set of legal provisions that the European Parliament tells its member states to enact under each country’s law. That’s the mechanics. Under Article 11, text that contains more than a “snippet” from an article are covered by a new form of copyright, and must be licensed and paid by whoever quotes the text, and while each country can define “snippet” however it wants, the Directive does not stop countries from making laws that pass using as little as three words from a news story. demands that the people who operate online communities somehow examine and make copyright assessments about everything, hundreds of billions of social media posts and forum posts and video uploads. This is a just a taste of the many controversies arising out of the Directive. What happens next? The EU leadership must pass the Directive at the next meeting of the European Council. Then, the EU states will have until 2022 to enact laws consistent with the Directive. Given the lack of clarity cited by the critics of the Directive, it is a safe bet that the EU states will not add more predictability to the requirements of the law; they may, in fact, make it worse. We will keep you informed.